My name is John McGrath and I qualified as an Approved Driving Instructor (ADI) in 2015. I trained in Dublin with a reputable and recognised ‘Train the Trainer’ driving tuition company. I passed all stages of the Road Safety Authority (RSA) assessments first time and subsequently the RSA issued me my ADI badge and certificate. As a qualified driving instructor I’ve started small and to date the two learners I took on have completed their 12 Essential Driver Training Lessons (EDT Lessons), both of whom then followed on and passed their driving tests first time! It’s now time for me to ramp up on driving instruction! So to begin with, I have call my driving school Mid Tipp Driving School. I’ve a comfortable modern car in place, complete with dual control pedals and fully insured. If you choose to use Mid Tipp Driving School for driving instruction I will be drawing on all the valuable and most up to date training techniques I recently received and I can guarantee you my utmost attention to detail and make sure your success is my priority. Why Choose Mid Tipp Driving School? When learning to drive you will cover all the skills necessary so that you are ready to take, and pass, your driving test. Driving lessons incorporates an explanation of road signs and road markings. You will be trained in how to react to hazards and situations as they arise such as cyclists, pedestrians, speed bumps, parked vehicles, obstructions, and so on. Lessons will be carried out primarily within the Thurles area. 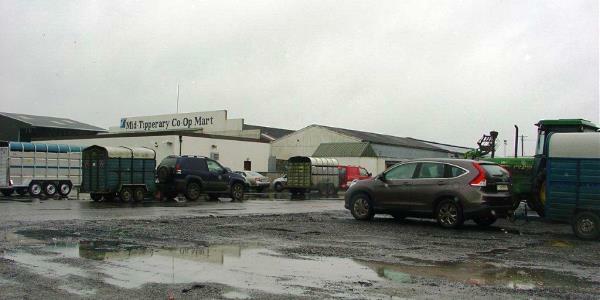 The Test Centre in Mid Tipperary is located in Thurles (Government Offices, Stradavoher, Thurles). But should you wish to take your test in a different town that should not be a problem! Learning to drive is an important time in anyone’s life. It doesn’t matter if you are a beginner, or if you have some driving experience, I, Mid Tipp Driving School, will do all I can to teach you in the most efficient and effective way possible. With my passion to instruct and your willingness to learn, your driving lessons experience will be educational, safe and enjoyable too, resulting in you becoming a confident and skilled driver into the future! Upon successful completion of your driving test Mid Tipp Driving School will give you a complimentary lesson on Motorway Driving to make you a safer, confident and more economical driver all round. 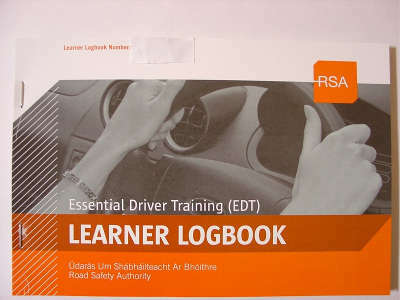 As per RSA requirements all learner permit holders must complete the 12 EDT Lessons. 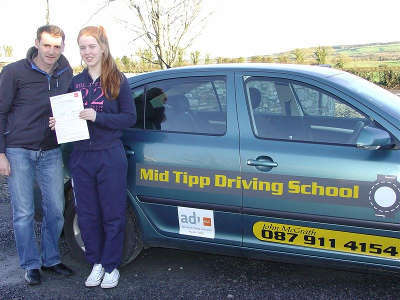 Mid Tipp driving School will provide the necessary documentation for you. NOTE: You need to complete all 12 lessons before you can sit your test. Lesson commencement from your home or at a location that suits you (conditions apply). And closer to test date lesson commencement from driving test centre. Upon successful completion of your driving test why not apply for your trailer test while everything is fresh in your mind! This would only require minimal lessons to learn the necessary skills. The main reason that candidates fail their driving test is a lack of preparation. Mid Tipp Driving School ensure that drivers that take driving lessons with us are fully prepared for the driving test and maximise their chances of passing it upon first attempt. 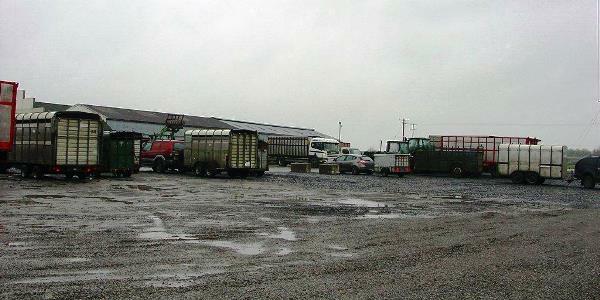 And for those experienced full licence holders you need a trailer licence for any trailer type that is more than 750kg. Trailer Licence required if trailer plus its contents are greater than 750kg. Eco Driving means smarter and more fuel-efficient driving. Eco Driving represents a new driving culture that makes best use of advanced vehicle technologies, while improving road safety. An important component of sustainable mobility, Eco Driving considerably contributes to climate protection and pollution reduction. 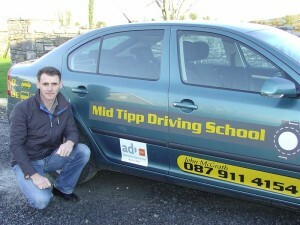 Find out about the Rules of Eco Driving with Mid Tipp Driving School. Eco Driving is a term used to describe energy efficient use of vehicles. It is a great and easy way to reduce fuel consumption so that less fuel is used to travel the same distance. In the last decades, engine technology and performance of cars has improved rapidly, while most drivers have not adapted their driving style. Eco Driving represents a driving culture which suits modern engines and makes best use of advanced vehicle technologies. Eco Driving offers numerous benefits, including Green House Gas emissions reductions, fuel cost savings, as well as greater safety and comfort. There are many smart and safe driving techniques which can lead to significant fuel savings possibilities. The starting point for those willing to know more about Eco Driving are the Golden and Silver Rules of Eco Driving, which were defined by a European Consortium of driving experts in 2011. These rules include additional explanations which are directed at professionals. Defensive driving is defined as "driving to save lives, time, and money, in spite of the conditions around you and the actions of others." It is a form of training for motor vehicle drivers that goes beyond mastery of the rules of the road and the basic mechanics of driving. Its aim is to reduce the risk of collision by anticipating dangerous situations, despite adverse conditions or the mistakes of others. Refresher driving lessons are ideally for drivers, who have passed their test and who want to improve their driving skills to drive safely and with confidence. A typical candidate may have passed their test some time ago, and have not done much driving since passing. Driving is a skill that can always be improved on, so if you would like to improve your driving ability, give me a call.